It’s physical form is pretty cool too. 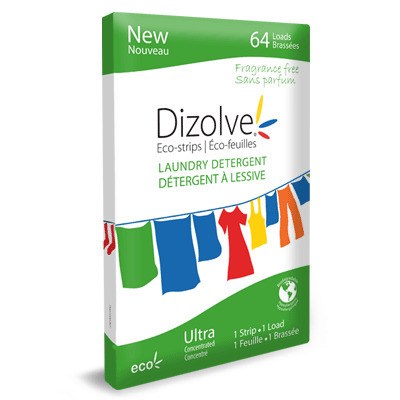 Most laundry detergents in Ireland are in powder or liquid form. 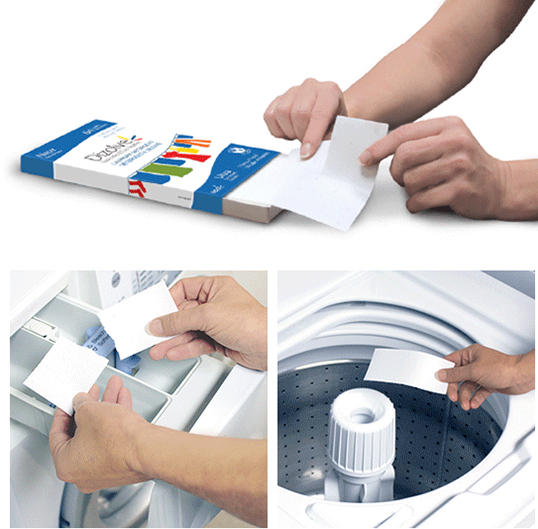 Dizolve uses paper-like strips. This means it’s simple to measure the amount you use. They suggest one strip for one load, but you can gauge yourself how much you need depending on the type of load. For example, a heavily soiled load might take two strips, or for a half-load or a handwash you could use half a strip. The one downside I’ve experienced is that the strips have to be torn into small pieces for use in a front-loader (the most common type of washing machine in Ireland). If you’re using a top-loader, you can just drop the strips into the machine whole, and you’re done. It’s a minor issue, but worth noting if you’re the easily frustrated type. I’ve used the strips in a few loads now and results have been good. I did a normal load (approx. 6kg) with a single strip and there clothes came out clean. I used a single strip on a white load at 30°C and the soles of some socks weren’t brilliant white. Next time, I’ll bump the temperature to 40°C and see what happens. I’ve seen similar results from my Method detergent, so I’m not writing it off just yet. I’ve ordered a packet of Fresh Linen, so the clothes smell clean too. I’ll be back with an update after I’ve used them a few times.